MANILA - They say millennials spend too much time on social media. 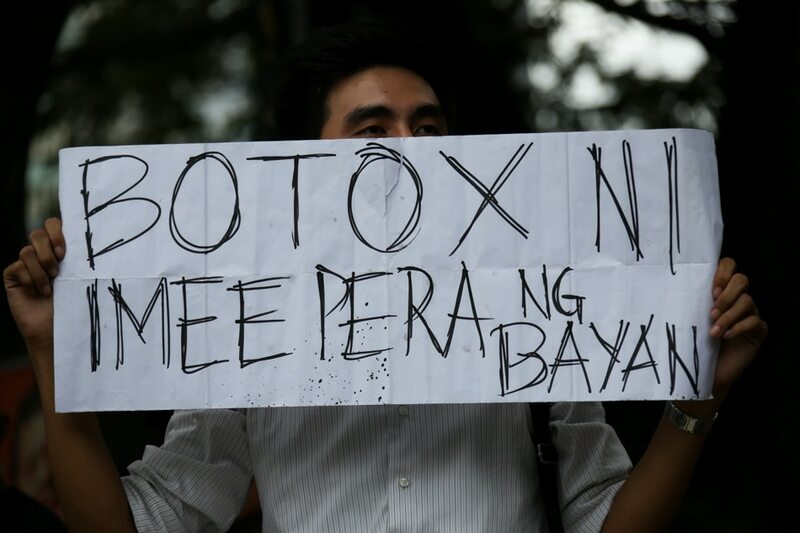 But during the Marcos burial protest at the Luneta Park on Friday, it was the youth who took charge. 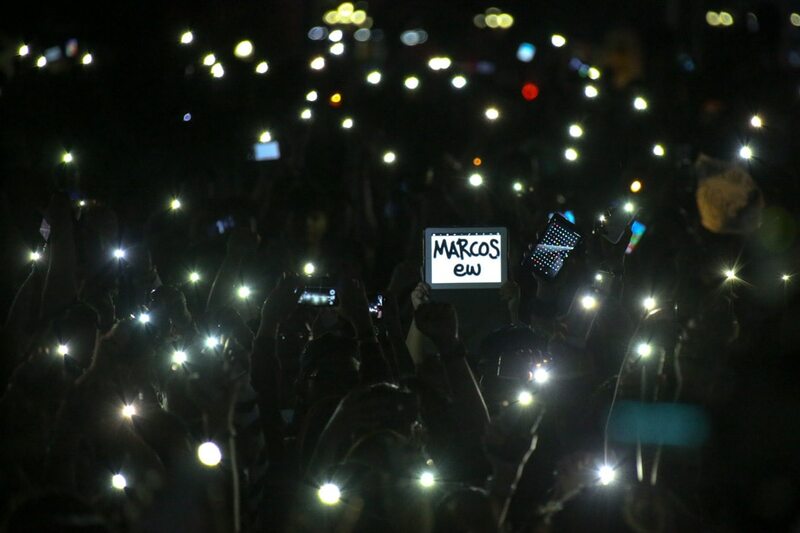 After making #MarcosNotAHero hashtag trend on social media following the Supreme Court's decision on the Marcos burial issue, the youth found time to take their cause to the streets. The students were present -- marching in throngs from their respective campuses -- and so were fresh graduates and young professionals. 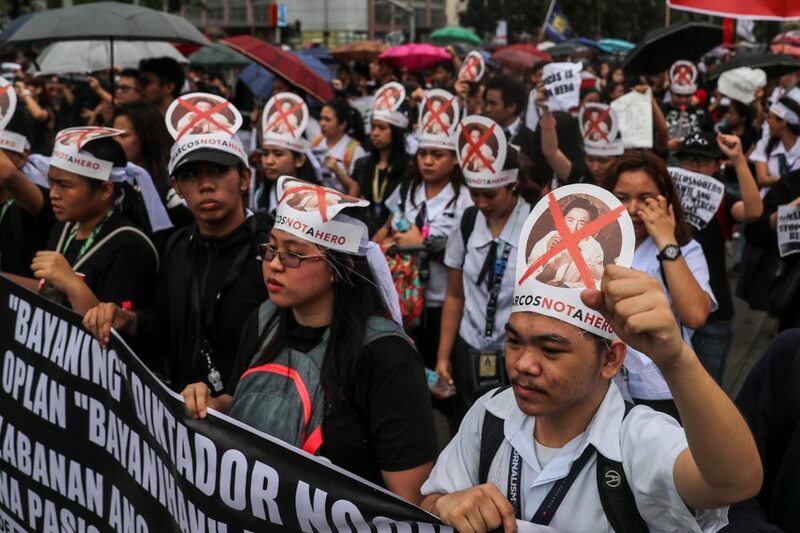 Most of the youth who joined the protests admitted they were not yet born during the regime of the late dictator Ferdinand Marcos. 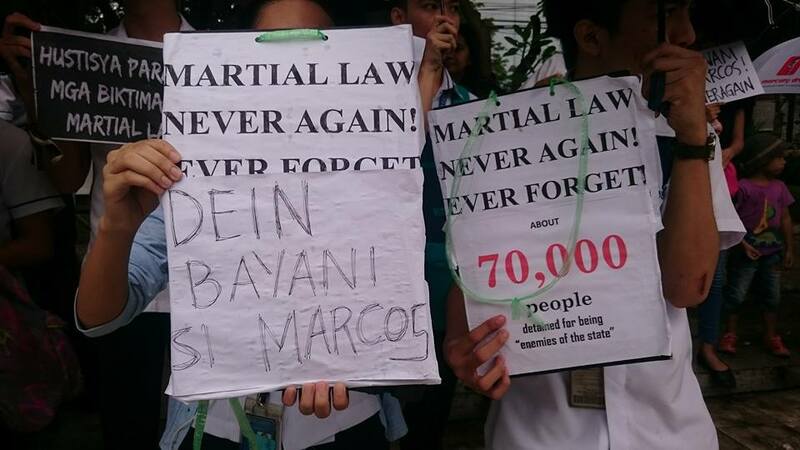 But they added it does not mean they know nothing about Martial Law. "You don't have to be there or to experience it first hand to have the right to fight. 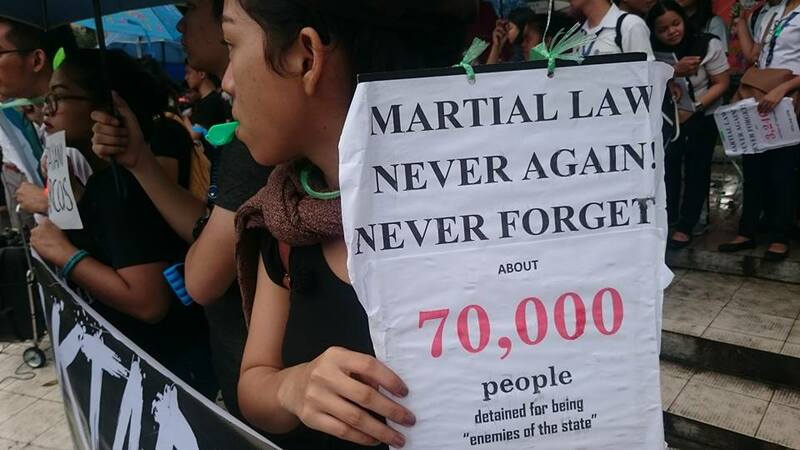 We all know and have learned the atrocities that Martial Law brought," said Jaira Balboa, a third year college student from the Polytechnic University of the Philippines (PUP). "Plus, may alam kami! We may be temperamental brats, pero we know things and we have every right to fight and stand for what we believe in," she added. 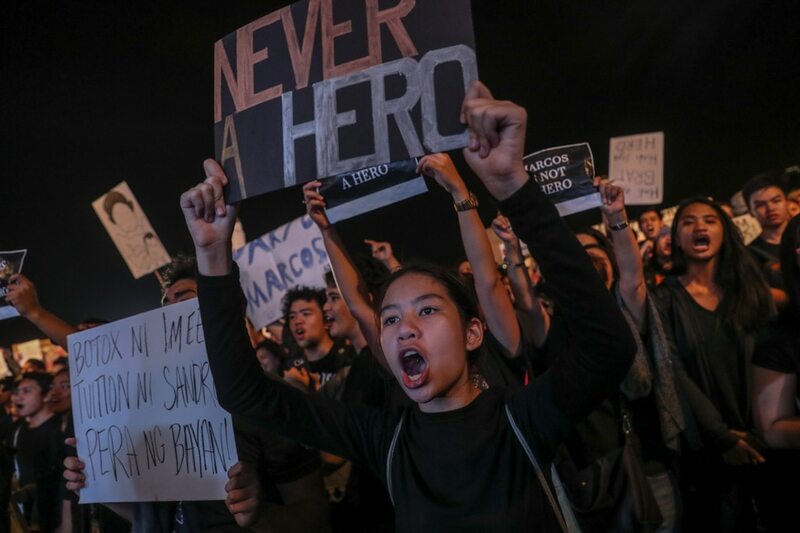 For Anton Onato, a fourth year journalism student at the University of the Philippines in Diliman, saying millennials are too young to know Martial Law is a "false dichotomy." "Bakit sila ba buhay na ba sila noong panahon ni Jesus Christ? Kung hindi, then why do they believe and praise him?" he said in jest. Onato explained even if he is young, he knows history and he knows to separate credible information from false ones. "While it is true that I am yet to be born during that era, that does not mean i can no longer decipher credible information I get from studying the history. That's why we have history subjects in school, for us to know the history and learn from it," he said. 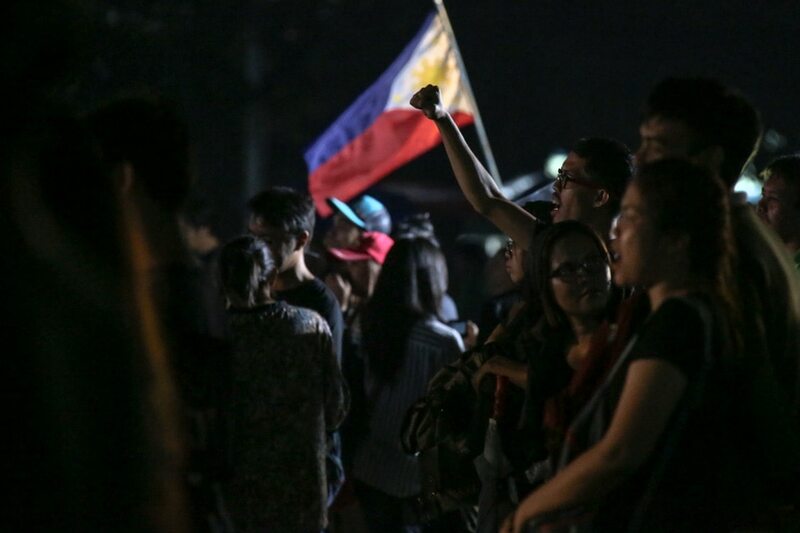 Some of the youth who showed up at Luneta are not regularly joining protests. 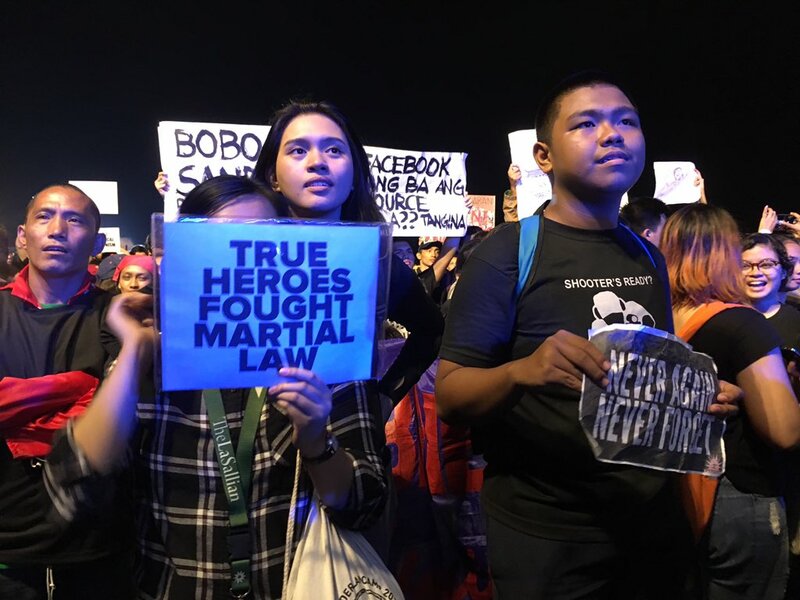 But a lot of them said they went joined the rallies because they felt angry as they believe burying Marcos at the Heroes' cemetery is wrong. 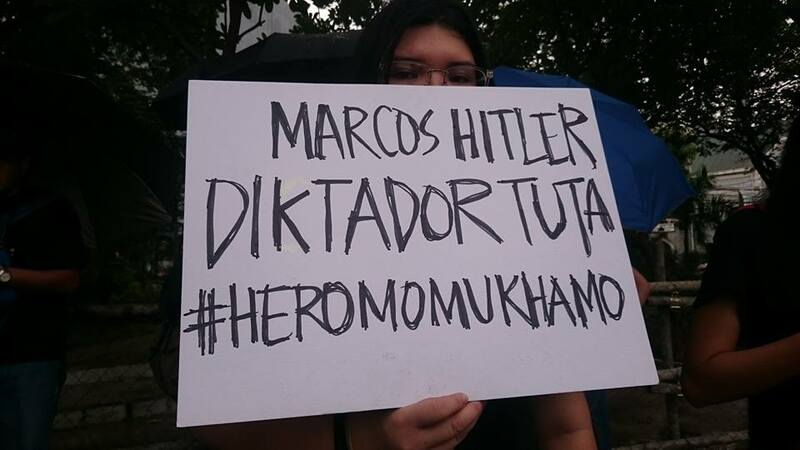 Yna Musico, a fresh graduate from the Ateneo de Manila University, said the first protest she joined was the one in Katipunan after the Supreme Court's decision on the Marcos burial issue. Musico said that she was incredibly angry, confused and sad that day. But in the protests, she felt solidarity. 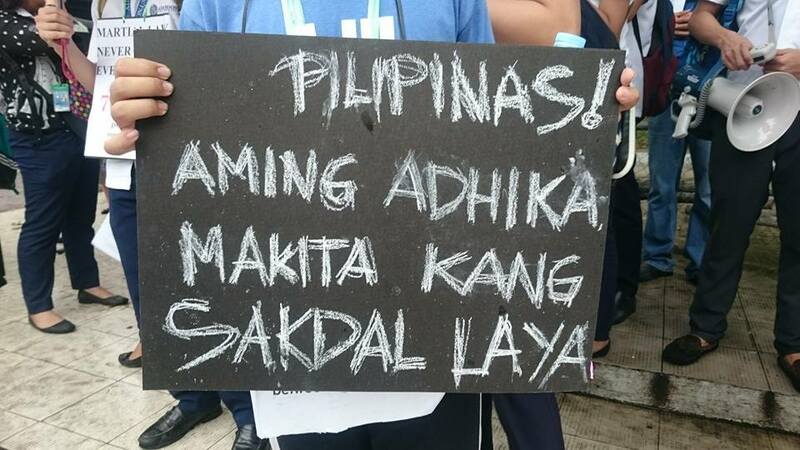 "The same feeling I felt awhile ago in Luneta. There were a lot of us, the young people, this supposed narcissist generation, shallow with our selfies and highfalutin with our values," she said. "Under the rain, in Manila. It felt like we had hope... I knew, I knew I could stand with these people," she added. 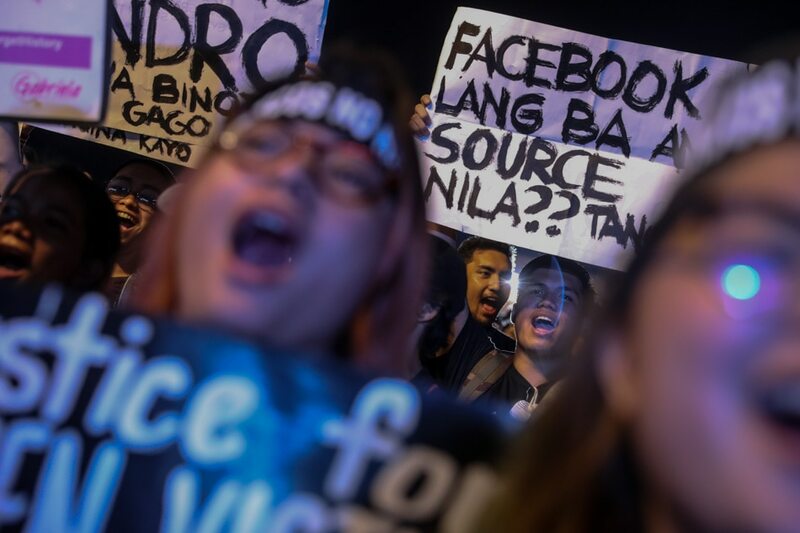 Musico said that seeing millennials march on the streets prove that the youths of her generation are not just anonymous faces online and are willing to fight for what is right. "I went out to protest to show that our generation isn't some enigma protected by digital screens, we are ready to take a stand despite all the empty angry remarks said about our generation online, 'never old enough to take a stand, always too young to understand history.'" Balboa felt the same way, saying it is very empowering to stand with people who believe in the same cause. 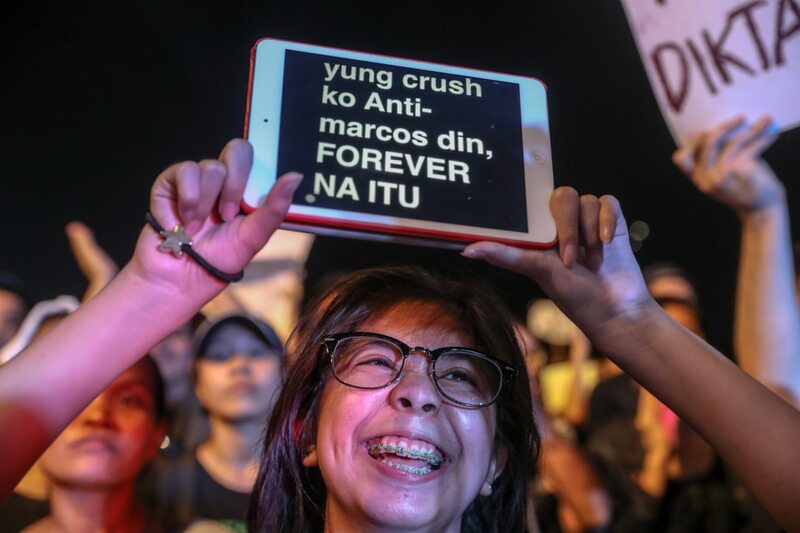 "The rally earlier at Luneta, it felt super empowering, especially because almost everyone there were teenagers or students who are really fighting for what they believe in. It felt nice to see all of us come together... We were all willing to scream, chant, and spend our time there, to stand for what we believe in," she said. 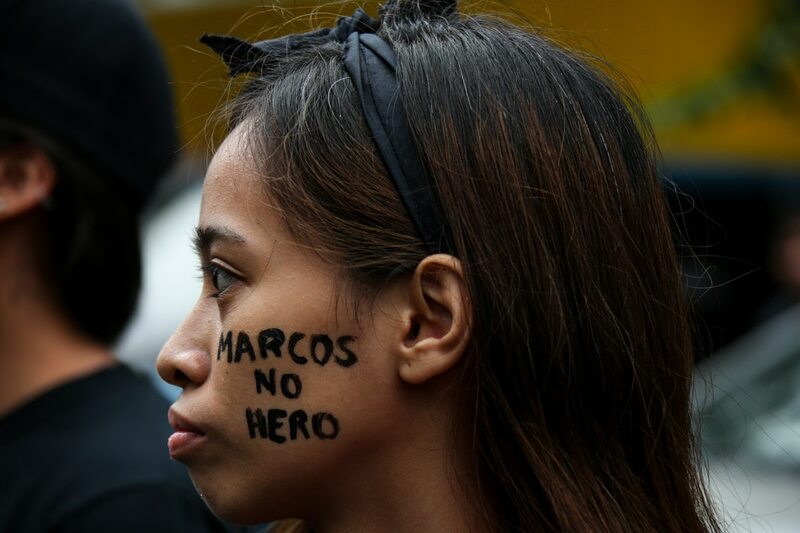 For Onato, there are a lot of reasons why Marcos should not be buried at the Heroes' Cemetery. First, he said, is the number of the human rights violation committed in the late dictator's regime. Second, Marcos' greed for power, which he said "resulted to corruption making his family very powerful up to the present time." "It is with our money that they can have the gall to run for political office and try to vindicate their father... It is with our money that they can influence politics and hence perpetuate their cronies and their defenders," he added. PUP's Balboa even finds it odd that the current administration is the one adjusting for the Marcoses' wish. "Bakit kailangan na tayo ang mag-adjust sa gustong mangyare ng Marcos? Kung gusto nila, patayuan nila ng mosoleyo si Marcos, basta tanggalin nila siya sa LNMB," she said. 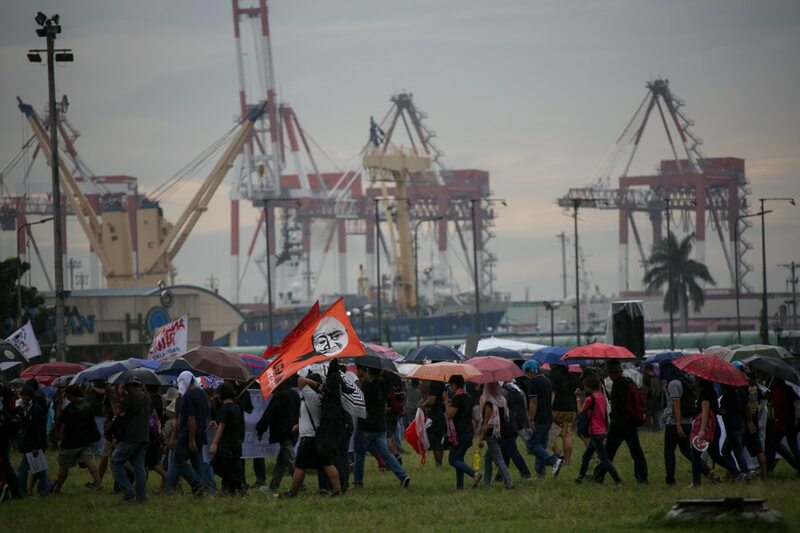 Musico, meanwhile, said that just by looking the number of people killed during Martial Law, there is no "moving on," as the Marcos family want the people to. "He died comfortably, with crates of money stolen from the Filipino people, while Macliing Dulag's blood didn't have time to dry after he was gunned down in his home for wanting to protect the land of the people. Riddled with bullets.